Michael Y. Jung is an associate in the firm’s Pasadena office. His practice focuses primarily on business law, employee benefits, and employment law. 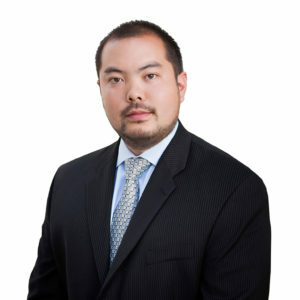 Mr. Jung represents Taft-Hartley trust funds, government agencies, individuals and privately held companies in both litigation and transactional matters. Mr. Jung obtained his Juris Doctor degree from Southwestern University School of Law in 2006. He earned a Bachelor of Science degree in Business Administration with an emphasis in marketing from the University of Southern California in 2003. Mr. Jung is licensed to practice law in California before all state courts, the United States District Court for the Central District of California, and the Ninth Circuit Court of Appeal. He is a member of the Los Angeles County Bar Association and the University of Southern California Alumni Association. Mr. Jung is also a real estate broker licensed by the State of California.